Previous Post Ninja Profits System Review – Is Ninja Profits System Scam? I have a passion for helping individuals to stay away from many online scams while guiding them to safe opportunities, that is why I decided to create this website. Scams websites usually have no way for users to contact them directly. At times, you will see a “contact” bogus page link that leads you to nowhere when you click on it. Even if it does lead to somewhere, and you manage to send an email, you will never get a response. One of the easiest ways to spot a scam website is by taking a good look at the flashy graphics that you so often see on the website. These graphics are most times in the form of huge mansions, luxury cars, private jets, designer suits etc. Often times, these items are rented for the purpose to lure people in. Another common trait that I always see when I spot a scam website is that the comment section at the end of the page in never there! I see this on scam youtube videos as well. The reason why the comments are disabled should be obvious. Scammers disable this feature so as to disallow viewers from leaving honest comments that would expose them for who they really are. (4) Over Use Of The Words Free, Secret, Millionaire, etc. This tactic is one that works for the scam websites most of the time, especially to newcomers. The word free is a very powerful word that many people search for in the search engines, as most people do not want to spend money online. Even though the free tactic is used, users will soon find out that they have to pay a “small fee” to get started. More popular words that you will see associated with scam site are secret, millionaire, special offers, rapid giveaways, etc. Whenever you see this one, run for the hills immediately! Making money online takes time and work. There is no such thing as “make thousand in the next minute…”. If it was this easy, everyone, including your grandma would be doing it. Scammers know that people trust news companies such as CNN, NBC, BBC, Fox News, etc. They will steal a logo online and place it on their website. Whenever misinformed people visits the website and sees that the company is endorsed by these major news giants, they quickly believe and pull out their credit cards to spend money thinking that they are in safe hands. This is another sneaky tactic that is used to lure in individuals. You will see at first that the particular scam program is for $1. As soon as you purchase, you are almost immediately directed to an up-sell page that is promised to give you the “secret formula” for an additional $49, $100 or even upwards to $1000. This is why I always recommend products that you can “try before you buy” (places like Wealthy Affiliate) where you are less likely to be a victim of online scams. I have seen this popular tactic too often of constant up-sells with a lot of scams sites that I have reviewed on this website. NOTE: NOT ALL websites that uses the up-selling method are strictly scams…. Some legitimate products do use the method to boost sales, however, be sure to invest wisely and make sure that the up-sell will actually provide value & help you to progress. Countless amount of one-page websites is straight up scams. In fact, all websites that I have reviewed on this website which are one pager, turned out to be scams which redirect users to another scam. I have seen this trend, especially with binary options scams. Be aware of these fake gurus making false promises to you. A sense of urgency is used by many legitimate marketers to sell products and services. They will often time place countdown timers to create a sense of urgency. Be careful and think rationally when you are about to give out your personal, sensitive information. 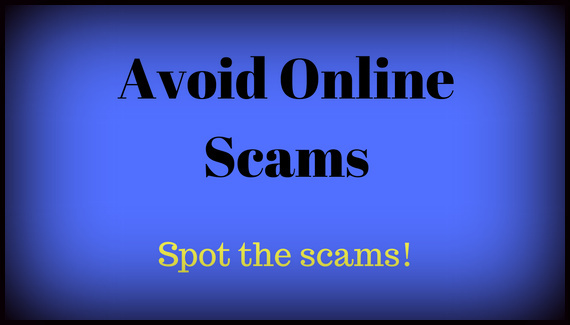 The above pointers are just some of the ways that I have seen how to spot a scam website. There are other ways for you to spot them too, be smart when you are about to spend any of your hard-earned dollars. If you know of any other methods used by scam websites to lure people in, please leave them in the comment section below. I will continue to expose them on HowToStaySafeOnTheNet.com. Stay Safe On The Net. I have to disagree with 2 of your points, you should have gone into a bit more detail as these are used by many genuine marketers and you can just say they use them. I paid for a product at a $7 week trial and I got the basic package, I then had to pay $60 for the rest. The product taught me to make money online. Creating a sense of urgency, many online marketers use a countdown timer, what this does is creates a sense of urgency so more people will purchase the product. Fantastic! Thank you for pointing these out. I have made the edits to better communicate the points. I have recently joined DA and wish that I could have learned about WA as well. Could you send me info on the difference in the cost compared to DA. I am a rise member and will be promoting soon. For a detailed review on Wealthy Affiliate, I would suggest you read the full review here. and i did not get the program and no answer back. does that mean i lose my debit card number. Or does any one know how tell me how to fine my card number so i can cancel it. Or M. I screwed! The best thing for you to do now is to contact your credit card fraud department (the number is usually at the back of the card you used) and let them know the situation. The credit card company will resolve this matter. Be careful online while you look for other work from home opportunities.